we took a walk along argyle street & walked along sai yeung choi street & tung choi street. we decided to stop for a break at hong lin restaurant康年餐厅. we had nice polo bun 菠萝包 here during our last HK trip on 22.2.2017. 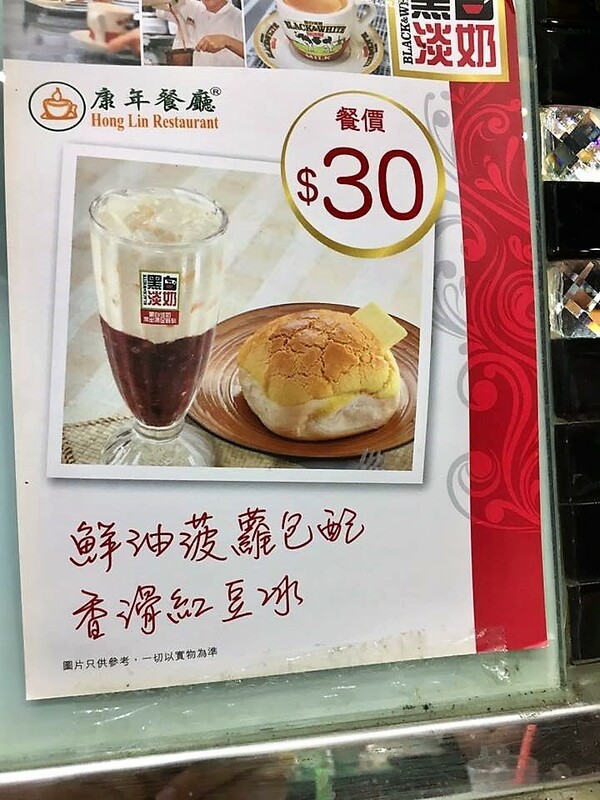 HK$30 polo bun 菠萝包drink set so we took that to share. 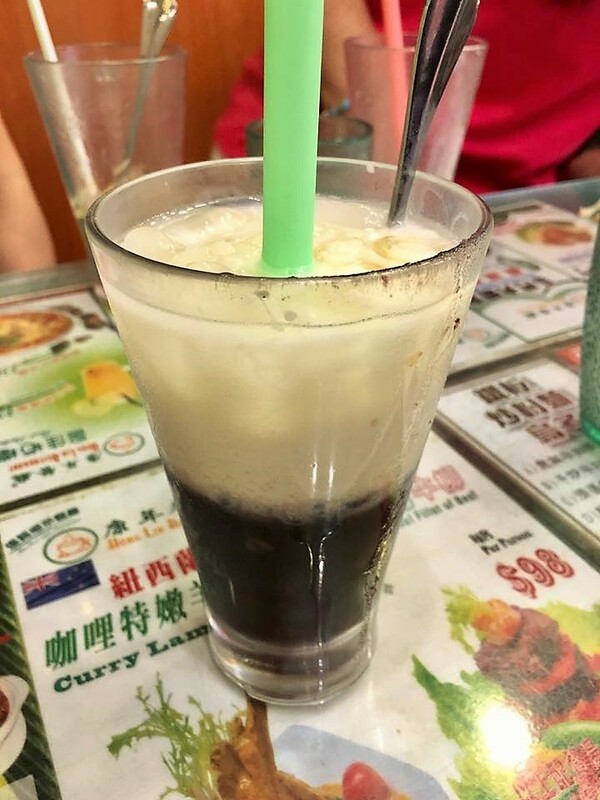 it came with a chilled red beans drink which was pretty good actually not too sweet. the polo buns were coming off the oven in trays & people were buying off the rack (kind of) in take-outs (tapao) outside the restaurant. so our polo bun 菠萝包 was warm & crispy & just fresh off the oven! jolly good. 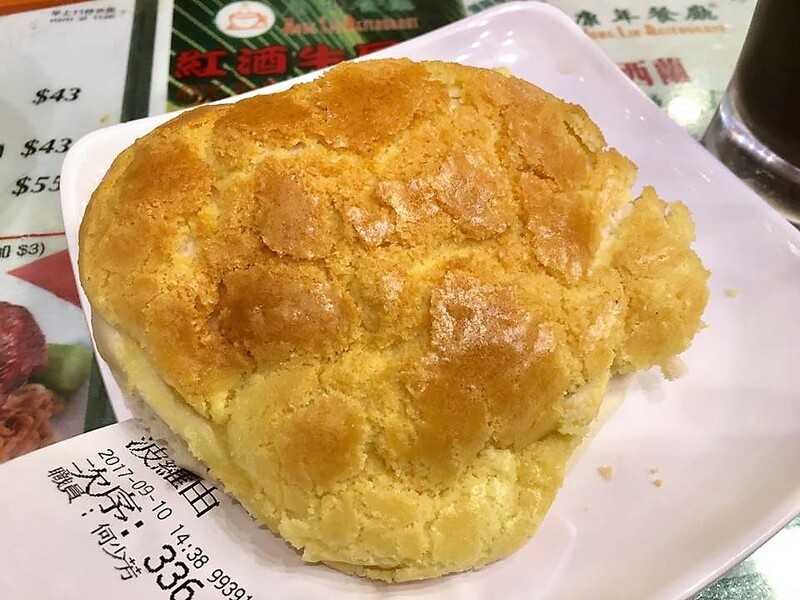 i am growing to like this polo bun 菠萝包, quite different from my very first reaction at kam wah cafe 金华茶餐厅on 12jan2016. hong lin was crowded at near 3pm. we shared a table with a couple & chat them up & asked how they think hong lin c/w kam wah cafe 金华茶餐厅. and later they left & 2 ladies joined us, we asked them the same thing. this bias sample of course, as they were here at hong lin. both pairs said they prefer hong lin, polo buns just as good, better service & buns hot off the oven. 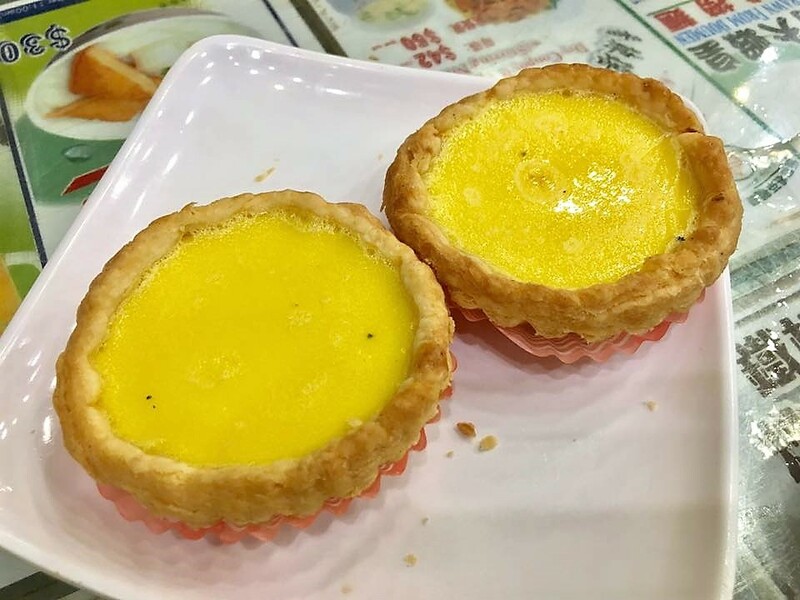 we decided jsut one egg tart to share (the photo above was taken form the serving to the ladies pair that shared the table with us). egg tart was good. think as good as tai cheung in hong kong & singapore. 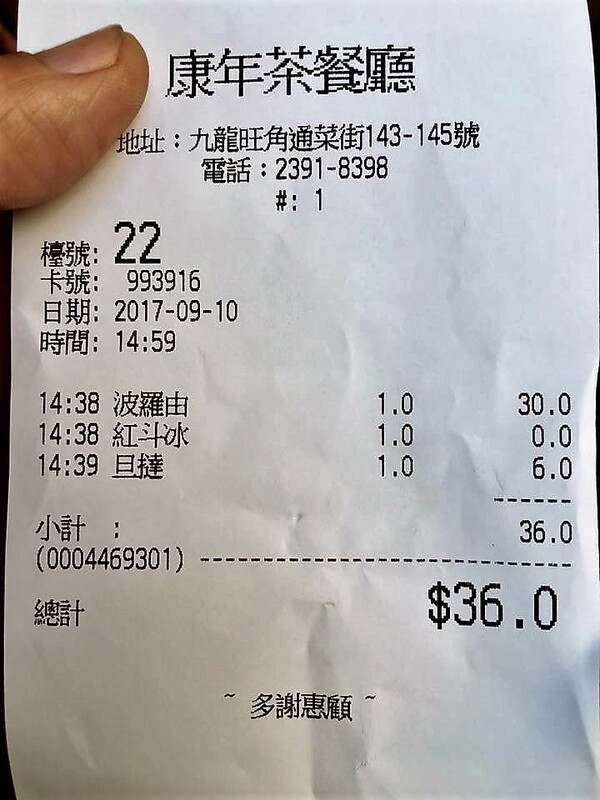 so the tea break was HK$36. that’s because we were just tasting, having had a full roast goose lunch already. enjoy much though, nice polo bun, egg tart & drink & good chat with the local hongkongers. This entry was posted in Andy, WM & WT GY in Hong Kong/Shenzhen 10-14Sep2017, Buon Appetito!. Bookmark the permalink.